Viknesh Vijayenthiran September 6, 2017 Comment Now! Tesla has been stealing much of the limelight when it comes to electric cars, and for good reason, but Nissan and its Leaf shouldn’t be overlooked. The humble hatch is still one of the best-selling electric cars in the world with more than 283,000 examples sold since launch. Now there’s a redesigned model. 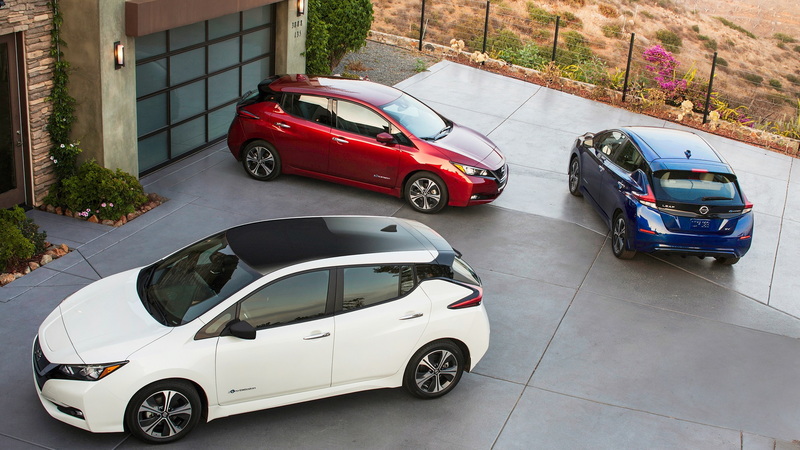 Nissan took the wraps off its redesigned Leaf on Tuesday. The vehicle, which arrives as a 2018 model, is due to start delivery early next year and has been priced from a very reasonable $30,875. 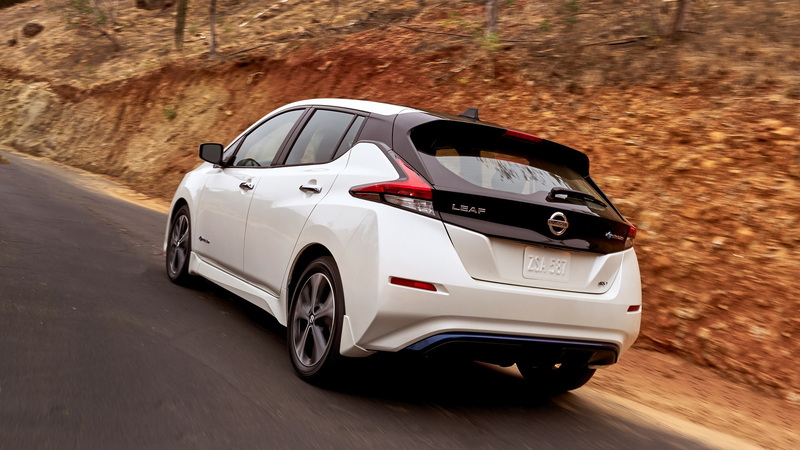 The figure, which includes an $885 destination charge, is actually $690 lower than the 2017 Leaf’s starting price. That’s impressive considering the 2018 Leaf has more range, more power and more technology on offer. Here’s a rundown of what’s coming. When it comes to range, buyers will have more than one option this time around. 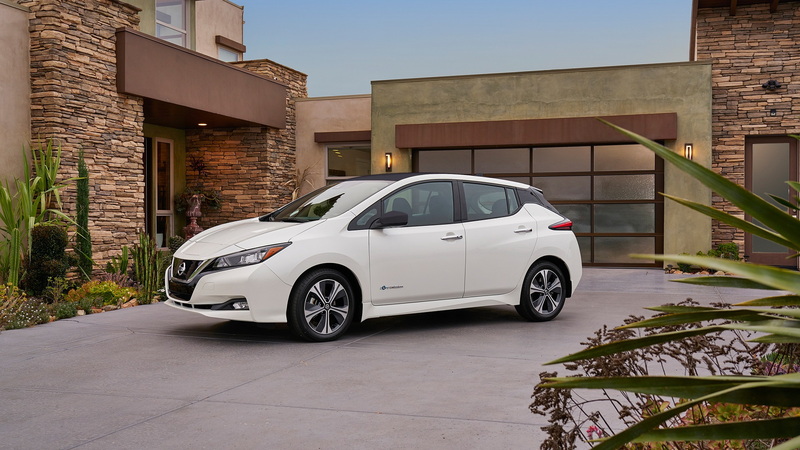 The base model will offer an estimated 150 miles of range, up on the 2017 Leaf’s 107 miles. We say “base” model as Nissan will add for 2019 a pricier option offering more range, thought to be 225 miles. A 40-kilowatt-hour lithium-ion battery is fitted to the base model. The pricier model is expected to receive a 60-kwh unit. Chevrolet’s Bolt EV has a 238-mile range and a $37,495 starting price. The Tesla Model 3 in base trim has a 220-mile range and $35,000 starting price. 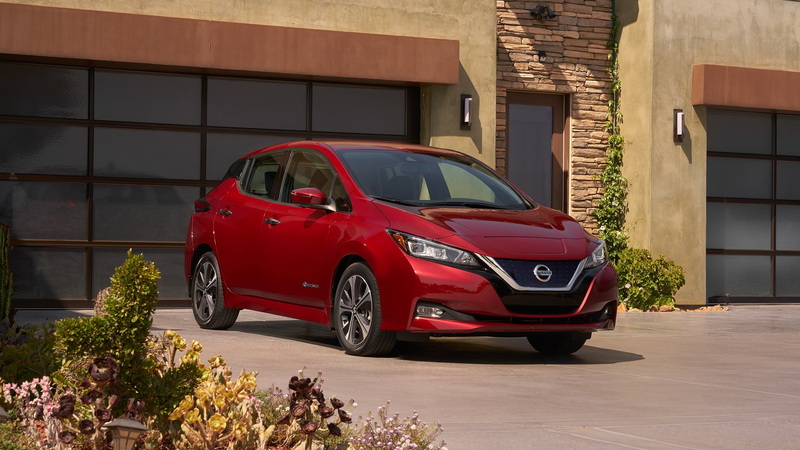 Peak output from the base 2018 Leaf's electric motor is 147 horsepower and 236 pound-feet of torque. That’s up 38 and 26 percent, respectively, on the 2017 Leaf’s numbers. Nissan says the pricier option coming for 2019 will offer more power still. 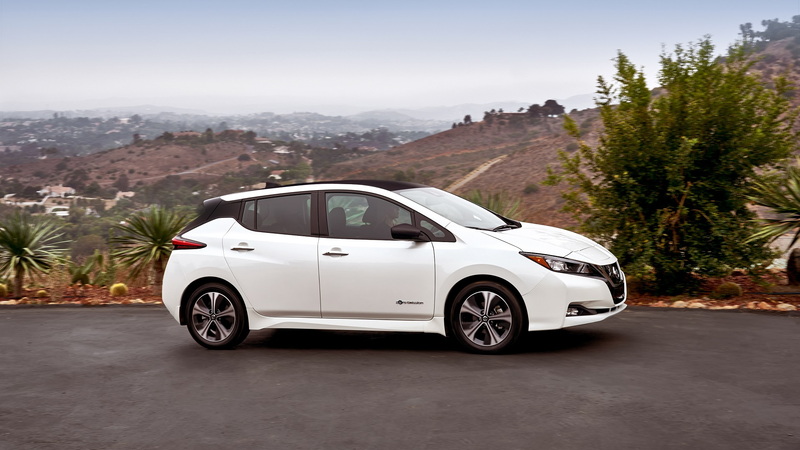 To match the improved output of the electric motor, Nissan designed the car for improved balance and stability. For example, heavier components, such as the battery, have been moved close to the center of the car. Various chassis systems were also tuned to ensure better ride and handling than the outgoing model. For the interior, the designers strived to maintain the outgoing model’s feel of roominess and openness. In addition, the new driver information display has a simple, light configuration without excessive decoration. An infotainment screen features in the center stack and includes Apple CarPlay and Android Auto smartphone integration for models equipped with navigation. In the lead up to the 2018’s Leaf reveal, Nissan has been making a lot of noise about some electronic driver aids that will feature on the vehicle. For the United States, this will include a partial self-driving system called ProPilot Assist. Designed to be used in a single lane, the feature can automatically control the distance to the vehicle in front, using a speed preset by the driver (between about 18 mph and 62 mph). It can also help the driver steer and keep the vehicle centered in its lane. It will also bring the vehicle to a complete stop if the car ahead stops. Another driver aid is Nissan’s e-Pedal which allows for one-pedal driving. It lets drivers accelerate and decelerate by increasing or decreasing the pressure applied to the accelerator. Releasing the accelerator will bring the vehicle to a complete stop. The brake pedal is still required for emergency stops, however. There’s still plenty to learn about the redesigned Leaf, including what additional models might be spawned from its platform. Stay tuned.